So your doctor has just revealed that you have kidney disease, and the news has literally rocked your world! Your shaking, not knowing what this actually means and what the consequences are going to be. You’re having talks with all sorts of so called specialists but you really don’t know what is happening or whether your life will ever be the same again. You’re wishing it’s all a dream and that you will wake up any moment! Of course, this sort of situation happens to just about any person who is first told they are suffering with kidney disease. Once you have gone through the denial stage you are going to want to make sure that you are extremely positive, because the stress you will experience will just not do anything positive for you. 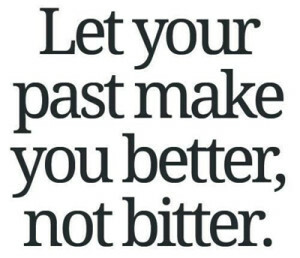 Rather you need to keep a positive mental attitude at all times and keep moving forward. There’s tons of research studies out there that show just how much the mind affects your body in a physiological way. 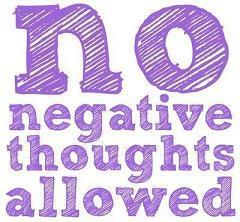 So whether you are thinking negatively or positively you are going to be affecting your body in some sort way. While going through any sort of illness is a tough thing to do, you need to make sure that you keep a positive outlook as it’s going to help you tremendously. At the same time you are not going to want to be one of those people that keeps bouncing around between being happy and sad all the time. This can be even more draining (both physically and mentally) than just being sad all the time. However the good news is that by implementing the following tips you are going to be able to develop a really strong and positive mindset that will help you a lot in terms of creating long lasting health! 1. You really need to stop negatively labeling yourself. You see most people out there have a negative image of themselves, and whenever something goes wrong, they keep telling themselves that it’s because of their negatives attributes that it went wrong. Whatever silly negative beliefs you have about yourself you need to destroy because it is preventing you from living a healthy and fulfilling life. 2.Your problems are your greatest assets and it’s the fuel you need to use to push yourself forward in this world. Study the lives of the most successful people in this world and you will find that they all went through some extreme hardships before they eventually went on to achieve their greatest successes! Your situation is literally no different. Some people go on to live in the best health of their lives after going through periods of extreme disease. Of course, not everyone that goes through disease will go on to experience great success in the outside world but that doesn’t mean the journey within has been any less successful. By facing death, many people have gone on to really appreciate life more, other people have become a lot more closer to their family etc. So what does your future hold? Well the reality is that only you can answer that question! But know if you keep a positive attitude then there is nothing in this world that can stop you from living out the life you want to live. With every difficulty that you will go through, there is an opportunity ripe for the taking. 3. Seriously take it one inch at a time. You really don’t need to get overwhelmed because nothing great was ever done in an instant. The same is true here, recovery is going to take some time. The sad reality is that most people give up before they even take one single step. They get overwhelmed and feel that it’s way too out of reach for them to do anything meaningful. But let me just say that it isn’t at all impossible if you just keep pushing hard. You just need to apply the correct knowledge and remain committed right to the end. You really need to put in the work everyday because that’s what is going to help you in the long run! 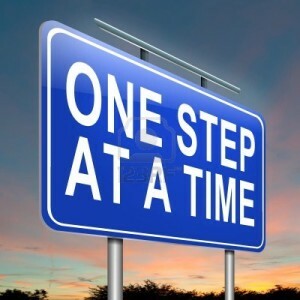 Just wake up everyday with the intention that you’re going to take it one baby step at a time. Keep the vision of great health in mind and believe me soon enough you will get to where you want to be. 4. Be grateful all the time. Those that are extremely grateful for the things that they have, will go on to do very well because it keeps you away from thinking about what you don’t have. The best way to really implement the attitude of gratefulness in your life is to create a ritual that you abide by every single day. A simple example could be to wake up every single day and just appreciate all the things you have in your life that you love. 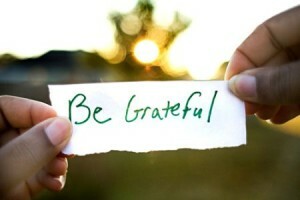 Believe me, this act of being grateful is extremely powerful and will help you stay positive and happy all day long! 5. You really need to start exercising regularly. You have to keep that mind and body connection alive and exercise is an important part of this process. 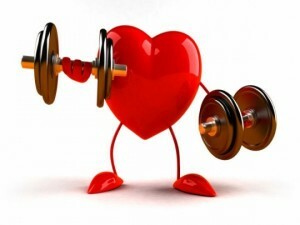 A healthy body is the key to having and developing a healthy mind. The difference between life and death is the sheer act of movement. You haven’t seen a dead corpse move, aside from the movies have you? So you can say that exercise is a great way to promote all that positive energy and also a good way to wash away all that negative energy! You’re literally hitting two birds with one stone. Whatever form of exercise you choose to go with make sure that it’s something that you find enjoyable. You need to be having a lot of fun doing the exercise because this is the key to developing a life long habit of staying fit. The best way to really find an exercise that you’re going to want to do every single day is to get out there and try different things. This means getting involved with things like weight lifting, running, and swimming etc until you find that one (or more) exercise that you are going to want to do all the time. So I hope that these tips will help you really get out there and develop the positive mindset you need to overcome renal disease for good. Because believe me, there’s nothing more powerful than creating a rock solid mindset. If you have any more tips then be sure to let us know in the comments below! Next articleWhat are the best foods to lose weight for diabetics?